Are you dreaming of a big summer panfish catch? Then you should bring the best bluegill bait with you! A good lure is your ultimate arsenal to any types of fishing. Once you have a variety of baits in your tackle box, having a successful fishing trip is not far from possible. When it comes to bluegills, some baits work like magic. Examples of natural baits are worms, dough balls, and crickets. Grass shrimps and grubs can be good baits, too! You don't need to become an expert fisherman just to catch a bluegill. After all, bluegills are not picky eaters. They will eat any bait that is half an inch. Therefore, hot dogs and corn can work on them, too. However, you should take advantage of the benefits of artificial lures. After all, you cannot expect that a second rate bait can produce a feeding frenzy! There are particular types of artificial baits that you should hoard in your tackle box. You need them because they offer serious advantages. Artificial baits have better water coverage than live lures. Moreover, they can last long while being submerged in the water. One of the most excellent fishing lures for bluegills is the Crickhopper Fishing Lure. This particular bait can unleash the predatory instinct of bluegills once they see it float on the water! 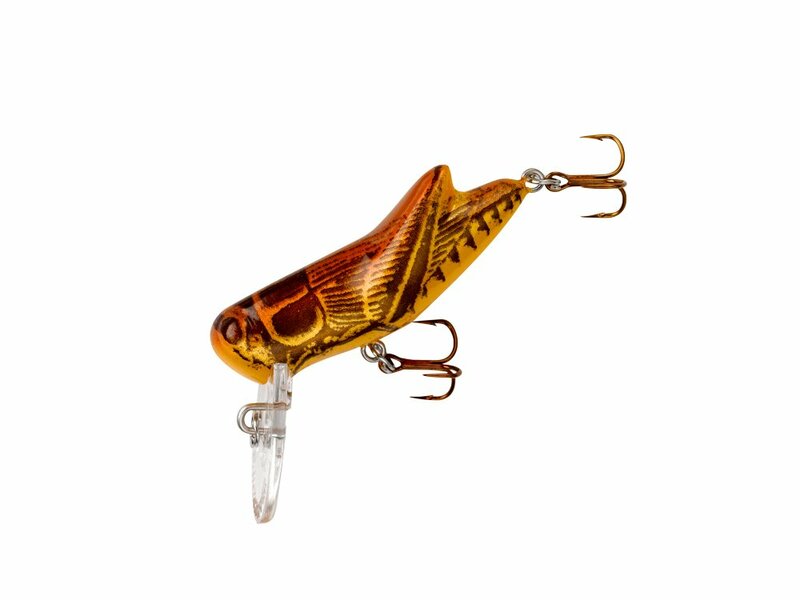 The Crickhopper Fishing Lure mimics the natural appearance of crickets. In fact, its appearance is almost the same as to a real cricket. Since bluegills love this insect, you can guarantee that this bait will work effectively! This bait can dive deep in the water; thus bluegills can see them. Specifically, this bait can be submerged up to 3 feet. If you are hunting any other freshwater game fish, you should use this lure. Moreover, the Crickhopper Fishing Lure is capable of fast retrieval. Once you hover it with erratic movements, bluegills won't simply ignore it! The full potential of this lure can be attained if you use a double loop knot on a 10-pound line. Bluegills can never resist minnows. After all, this small fish is part of their natural diet! The Rapala Ultra Light Minnow is one of your best choices for a bluegill bait. Each of these lures is hand-crafted and tank-tested. Therefore, their durability is top notch. The Rapala Ultra Light Minnow also possesses a life-like appearance. In fact, it has external scales and 3D holographic eyes. Because of these features, freshwater predators won't give any suspicions on this bait. It should also be noted that this bait has a special lip design. One good thing about the Rapala Ultra Light Minnow is that it has a weighted body. It can glide underwater for a realistic swimming action. By then, bluegills will rush towards this bait! It also notable that this lure has a unique wobbling motor to attract fish. Moreover, you can guarantee that the hooks of the Rapala Ultra Light Minnow are sturdy. They are made from quality materials that don't rust and corrode! The Yumbrella Ultralight Tripod is a unique bait for bluegills. This lure has an exclusive design that eliminates the possibility of an arm breakage. Moreover, this bait is highly durable. This lure is made from stainless steel. It is also heat-tempered for enhanced lifespan and underwater rigid. Therefore, it can withstand the aggressive bites of the burly fish. Specifically, the Yumbrella Ultralight Tripod uses three baits. It mimics a small school of fish that bluegills love. Once they see this bait swiveling on the water, the predators will certainly rush to them. Each of the wire of this bait has superior strength and memory. They can do tough tackles in harsh fishing conditions. Because of this feature, many professionals are using the Yumbrella Ultralight Tripod in amateur fishing games. Rose Kuli Multi Jointed Bait is a favorite bluegill bait. This fishing tackle is highly efficient in freshwater applications. From small fish to large fish, this lure can work effectively. The hooks of this lure are made from black nickel. They are very durable and is attractive to predatory fishes. Meanwhile, the floating depth of this lure is 100 centimeters. Therefore, they are very visible to the observing eyes of bluegill. The appearance of this bait is life-like. The segmented design allows the Rose Kuli bait to swim like a real prey fish! Moreover, it has 3D Holographic eyes to provide more realistic look. This bait is highly durable, too. It can deal with large and aggressive fish. It also allows you to do fast retrievals because of its unique design. However, the best selling point of the Rose Kuli Multi Jointed Bait is that it can be used in saltwater. Most of the freshwater baits do not possess this feature. But for this artificial lure, versatility is present! Another choice for a bluegill lure is the A-SZCXTOP Poppers. These baits are popular for the rapid and smooth diving action. Moreover, its life-like swimming movements are complemented by its bright and realistic appearance. Because of these, bluegills won't be able to resist the bait. 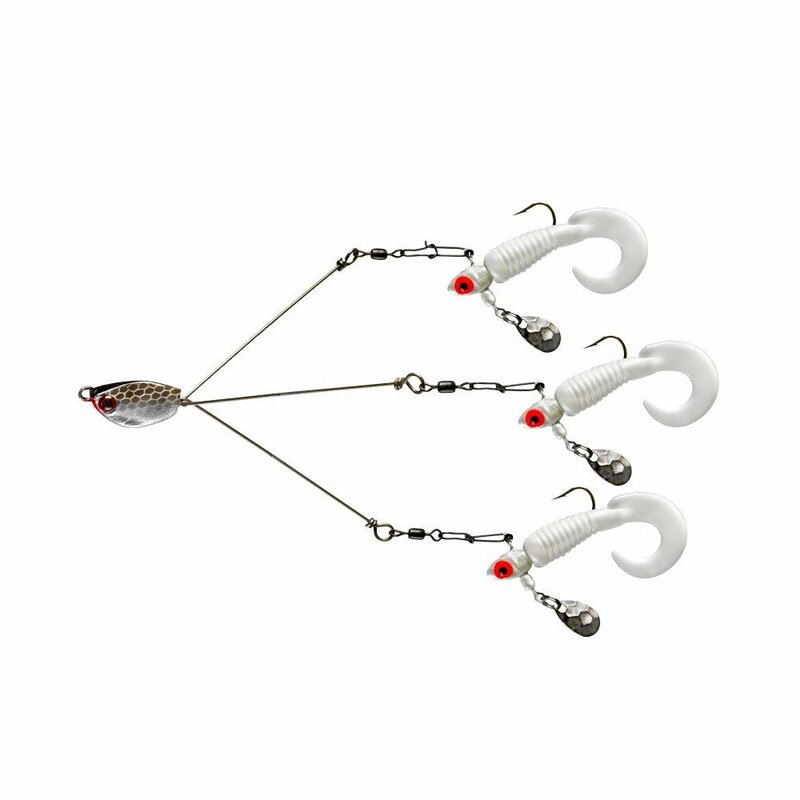 Moreover, this popper lure can do quick and intense action. They are meant for fast retrievals so that your catches won't be able to escape. The rolling and wobbling action of this bait are very enticing for the bluegills. Meanwhile, it includes impressive carbon steel hooks. The hooks are durable enough to handle big freshwater predators. Moreover, each of the hooks of this bait prevents the fish from escaping. The A-SZCXTOP Popper Lures are highly realistic. The external body has scales, and the eyes are completely holographic. These features make the illusion that this bait is a live lure! With its life-like swimming action, this bait can guarantee a successful day in fishing! Before shopping for baits, it is important that you consider the nature of bluegills. A bluegill is not choosy. Just like pikes, they will eat any bait that an angler will offer. However, the best bluegill bait is still a subject of debate. This is because the preferences of this fish can sometimes change. If there are no fishermen in the water, these fish naturally picks on small insects that are trapped in the water. Moreover, baby crayfish and small ﻿﻿﻿minnows are among the top favorites of bluegills. You need to know the natural diet of this fish before buying an artificial bait. You cannot expect that a lure will work if it doesn't have any characteristics that resemble the usual food of the fish. However, natural baits have their limitations. When it comes to lifespan and durability, natural baits are not hitting the spot. For veteran and professional anglers, using artificial baits are mandatory. Artificial baits have no particular drawbacks. First, they do not cost that much. Most of the bluegill baits on the market just cost between $1 and $10. Therefore, investing in them will not put a hole in your pocket. Moreover, using artificial baits are cost efficient. Since they are durable, they can withstand the bite of large underwater predators. Thus, you can use them multiple times. 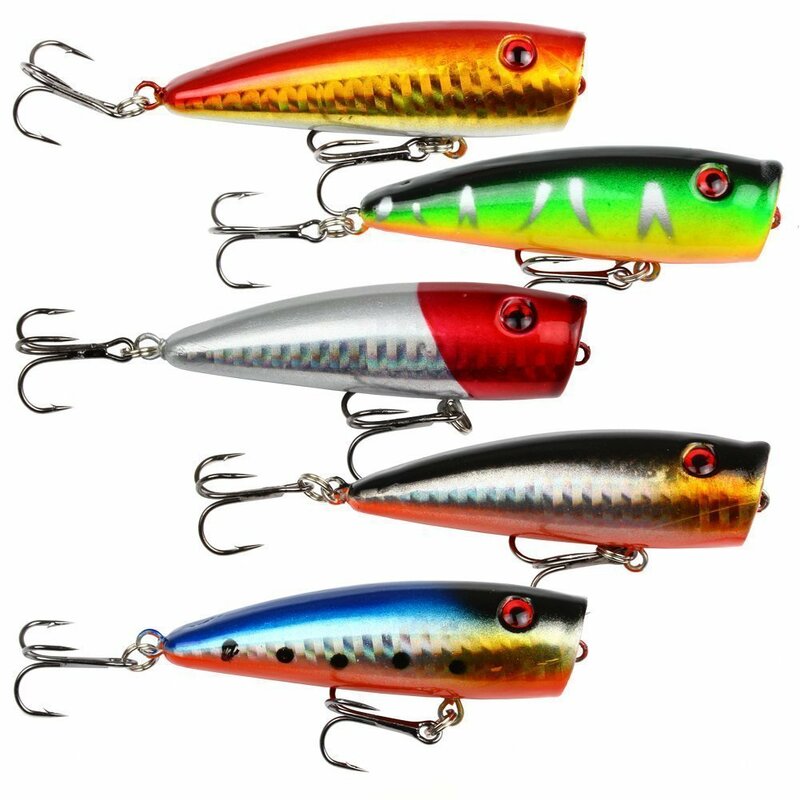 Six types of artificial lures are currently available in any fishing hardware today. They are cranks, poppers, spinners, spoons, flies, and jigs. Each of them is designed for a particular fish species. Therefore, you can maximize the potential of the lures by knowing what kind of fish you are going to catch. It will also help if you know how to weight any lures so that you can hover them efficiently on the water. Most of these baits are for freshwater applications. However, some manufacturers design their baits so that they can be used for saltwater fishing. You can only improve your success in fishing bluegills if you pick the appropriate bait for them. Therefore, you should opt crankbaits, poppers, and spoons. Choosing the right bait will also involve the water and weather conditions. Moreover, you should know that small baits are ideal for spinning and spincasting tackles. A bluegill is a variety of small panfish, so small baits work for them. You should also consider the weather conditions when deciding which your lure to use. A bright and colorful bait is perfect for fishing during bright days. On the contrary, fish will likely get allured by dark-color baits during cloudy and dim days. It will also help if your bait can produce sound or vibrations. We recommend that you purchase all of these baits. Depending on the conditions, a particular bait might not work. Therefore, you need to be as versatile as possible to make sure that you go home without bringing any trophy! Overall, catching bluegills are doable, even for amateur anglers. As long as you have good lures on your tackle box, catching these fish should not give a hard time. 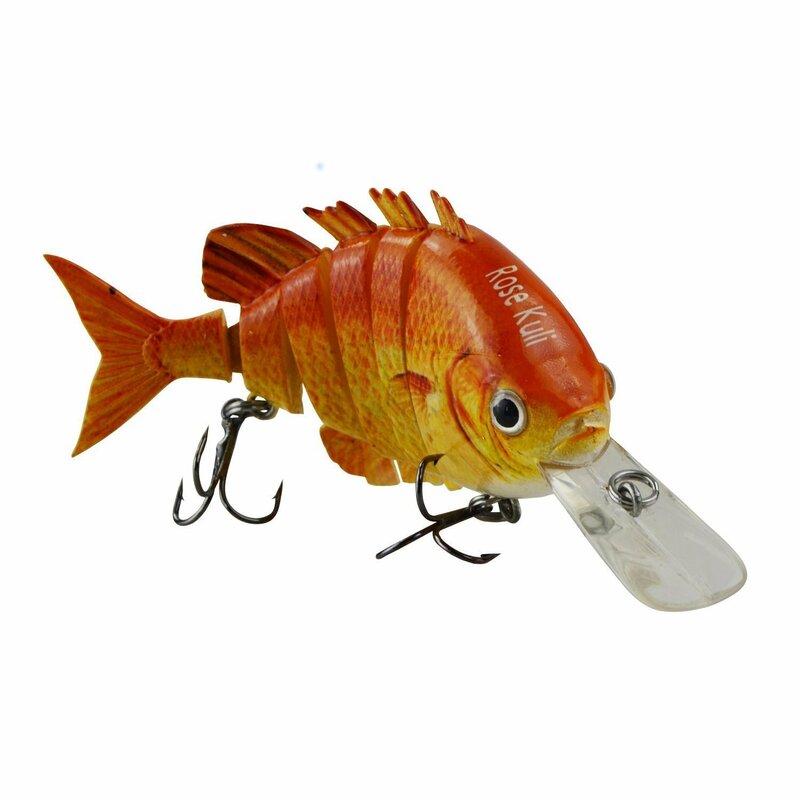 These artificial lures we featured are best options you have for catching bluegills. Each of them can also be used to catch panfish, and other varieties of freshwater predators. Once you have them in your tackle box, you will never go home empty-handed. However, the best bluegill bait among these is the Rose Kuli Multi Jointed Bait. This particular lure has a very realistic appearance. Moreover, it produces life-like swimming action. Many anglers have already testified to the quality of this bait. Because of that, we never doubted its performance. If you want a foolproof bluegill fishing, we recommend that you should bring all of these lures in your tackle box. In this way, your options for a working bait is virtually unlimited. Did you like this article? Drop down your comments, questions, and suggestions? We will be glad to answer them for you!